Ha- this is my husband! He has a fast metabolism, which I envy, and when he is hungry he just needs to eat. Now. I’m not like that… I can wait a while. But it appears that it’s better for a person’s weight to be this way, so you should be happy about it! I’m a pretty easy going guy but there are two things that make me cranky….heat and hunger…:) There were times I could have used that t-shirt. Must admit it was awesome. I’m working on it too. Did 17km a couple of weeks ago. How do I get myself into these thing? My worst time of the day is 4 pm. My sugar plummets and all I want to do is curl on the couch and take a nap. 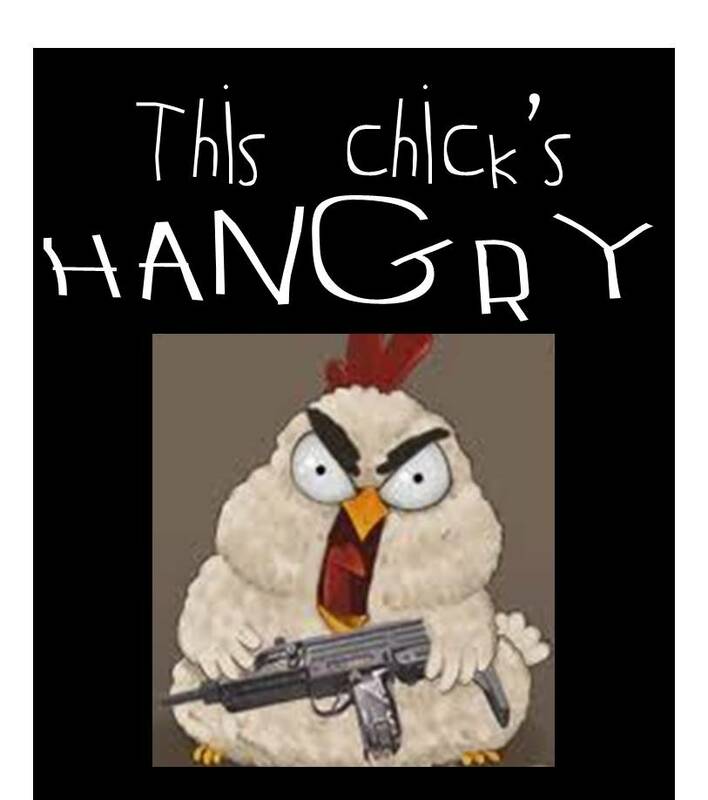 Just as bad as being hangry.